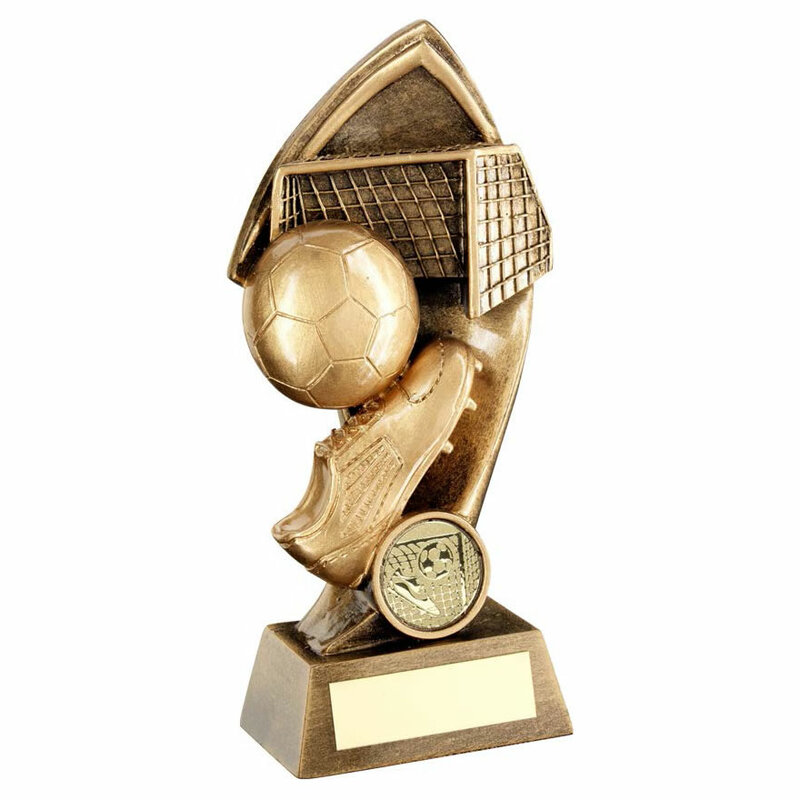 A football goalscorers trophy that is perfect to reward your top scorer or goal of the season winner. Made in resin with a bronze, gold and silver colour finish, these detailed trophies feature a goal with nets, football boot, and ball heading for the net. They include a 1in football theme centre and are set on a bevelled base with engraving plaque, and are offered here with text and/or logo engraving options. Available in three sizes.